Eighty of Melbourne’s top event managers, EAs and PAs were whisked away to the Werribee Open Range Zoo late last month for a secret safari-themed soiree as part of Business Events Geelong’s biennial mystery dinner. Body-painted performers greeted guests at the Werribee Open Range Zoo and led them to Hippo Beach, where they were able to get up close and personal with some of the zoo’s resident animals, all the while enjoying a glass of champagne with canapes. The main course was served in the Meerkat room, which had been transformed into a stunning dinner location complete with beautiful long tables and live entertainment. Day said the mystery dinner was a “resounding success”. “Our mystery dinner is one of our best events on the calendar, and gave us a chance to show off the diverse venues and operators we have in our region in a fun and casual setting,” he said. 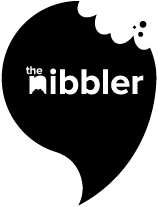 Meanwhile, the Nibbler editor has announced a trip a trip to the pub across the road. Mark Day reveals all in our latest Big Cheese, although The Nibbler insists no “rack of truth” or hot irons were used in the interview. We get ‘the nod’ all the time, but it’s mostly from security guards and it means we need to leave.